Bobco Custom Pool and Patio was founded with one core purpose — to build the best custom pools in Central Florida. To accomplish this goal, we hire the friendliest, hardest working, and most innovative staff in the industry. And we have committed ourselves to the highest standards of excellence, in each and every facet of our business. Each of our team members is an expert in their respective field, and they all fully understand and appreciate the importance of fulfilling the Bobco mission. Our attention to detail and customer service is incomparable — regardless of the size and scope of project. 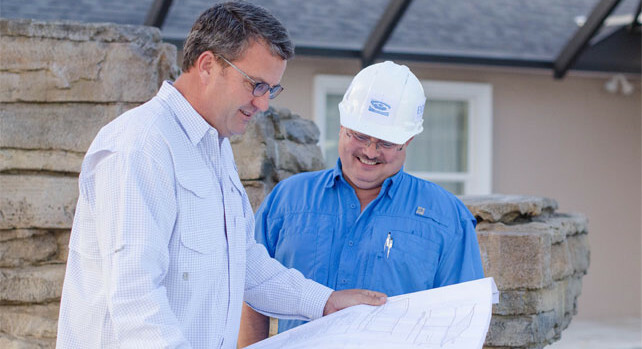 The Bobco family remains dedicated to our most valuable resource — you, our customers. It is this very spirit that we cultivate to differentiate us from our competitors. Bobco Pools has the design, construction and technical experience to design and build the low maintenance pool of your dreams. Bobco Pools designs are tailored to your home, needs, and style. At Bobco Pools, we use the highest quality equipment that costs much less to operate, thus yielding greater savings for you and your family. Bobco Pools will build you one of the best custom pools in Central Florida, and even help you save on your pool energy and maintenance costs! Some pool builders use inexpensive pool equipment with high profit margins, and don’t consider what the long term cost of ownership will be. Our final goal is to make you happy with your pool for many years to come.